Didn’t have a chance to go away this past holiday break? Do you want your skin to glow even though it feels like you haven’t seen sunlight in weeks? Thankfully, there are tons of incredible self-tanners out there that will let you fake it ’till you make it. Read on for our eight favorite new ones. 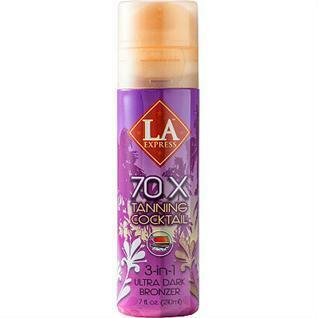 L.A. Express Tanning Cocktail: This affordable bronzing lotion shows instant results. Perfect for when you want a bronzed look for a big night out. Plus, it’s super moisturizing, so no need to use a regular lotion before applying. This isn’t a gradual formula. If you’re looking for a dark, deep vacation tan, this is your go-to. 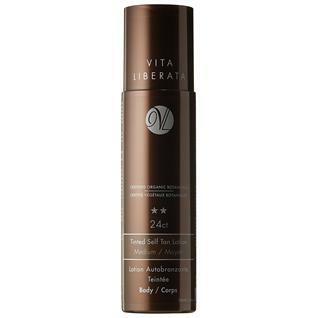 Vita Liberata 24ct Tinted Self Tan Lotion: This hydrating lotion dries quickly, so don’t stress about it getting all over your clothes. The tanner, which features organic extracts, looks extremely natural (save for a hint of gorgeous shimmer) and washes off easily. James Read Sleep Mask Tan: Think of this as an ‘I Woke Up Like This’ tanner. Apply the lightweight serum before you go to sleep, and wake up with an enviable golden glow! 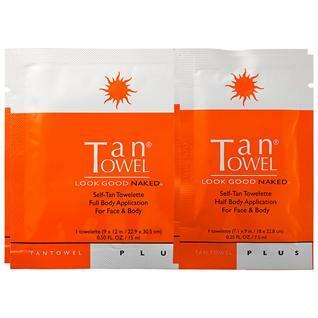 TanTowel Tan To Go PLUS: I really adore TanTowel. It’s essentially a mess-free, foolproof tanning towelette that exfoliates, tans and hydrates your skin in a single application. This set features two full- and two half-body towels. Dr. Dennis Gross Skincare Alpha Beta Glotion for Body: Dennis Gross is one of the best skincare lines around, and this lightweight lotion is no exception. The body moisturizer goes on virtually streak-free, and you’ll see a beautiful tan develop within a few hours. 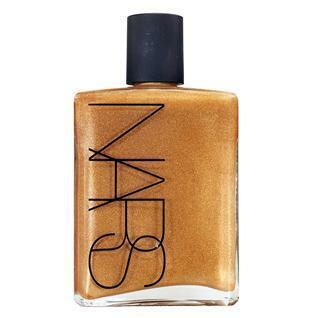 NARS Body Glow: You need to give this mute-purpose oil from NARS a try. The oil, which has an intoxicating scent, gives skin a bronzed glow and will truly make you feel like you’re in a tropical paradise. Hampton Sun Airbrush Bronzing Body Mist: It should come as no surprise that one of the best sun-care lines has a phenomenal sunless tanner. The instant, temporary spray gives off a sun kissed glow, and the 360 degree applicator allows for even, natural color. 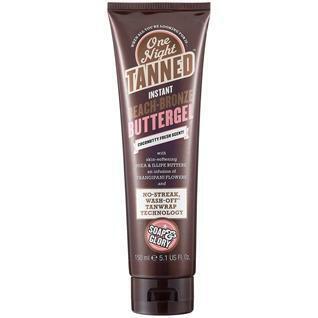 Soap & Glory One Night Tanned Instant Beach-Bronze Buttergel: How amazing is that name?! This lightweight ‘buttergel’ applies like a dream, and is full of soothing shea and illipe butters. This ultra-moisturizing serum-butter-gel is unlike anything you’ve ever tried before. Still a little apprehensive about using a self-tanner? Read our foolproof how-to HERE. 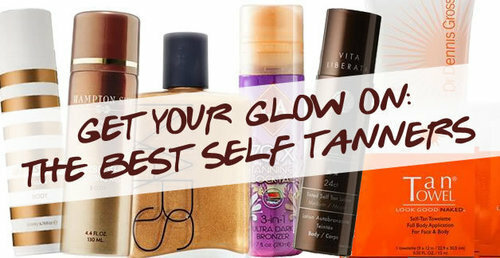 Tell us: will you try a self-tanner this winter. Which one? Let us know in the comments below and on PAMPADOUR! ← ARE YOU A BEAUTY ADDICT? (A Game Hosted by Pampadour) You have more fun getting ready than actually going out. See if you’re a beauty addict! At the end of each month, we select one lucky winner from our Name That Lipstick, Lipstick IQ, Beauty Addict and Shadow Palette quizzes to win a $25 Sephora gift card.